In the First World War, air fighting was a new and – to the press and public – exciting development. At first, aeroplanes were used for reconnaissance, but the desire to blind the enemy’s ‘eyes in the sky’ and protect one’s own planes produced a new breed: the fighter pilots. Their exploits were glamorised and celebrated, in particular those of the aces. The term was first coined by a French newspaper to describe Adolphe Pégoud and his high tally of enemy ‘kills’. In 1916 Britain found its first real ace in the shape of the young, seemingly fearless, Albert Ball. Although they were highly skilled and dedicated, aces were by no means immune to the dangers of combat, and the shocking attrition rates for pilots told their own story. The Zimmermann telegram (16 January 1917) was a coded diplomatic note by German Under-Secretary of State Arthur Zimmermann to the German Minister (ambassador) in Mexico. British intelligence intercepted the message, deciphered it and recognised its explosive nature. In the telegram, the German Minister proposed German funding for Mexico and support for a Mexican effort to regain territories now incorporated into the United States. British intelligence did not want to reveal they were listening in to German cable traffic, so they managed to plausibly claim the telegram was obtained from a spy in Mexico. It was passed to the United States in February. Together with Germany’s renewal of unrestricted submarine warfare, the telegram had a fundamental effect on US public opinion and helped to mobilise US support for war. The affair was a coup for British intelligence. IWM London – IWM’s flagship branch –tells the stories of those whose lives have been shaped by war through the depth, breadth and impact of our Galleries, displays and events. Explore what life was like at home during the Second World War in A Family in Wartime; delve into the world of espionage in Secret War; visit our award-winning Holocaust Exhibition; discover stories of bravery in The Lord Ashcroft Gallery: Extraordinary Heroes; see work by some of Britain’s most significant 20th Century artists in our art galleries or take in our latest major temporary exhibitions. 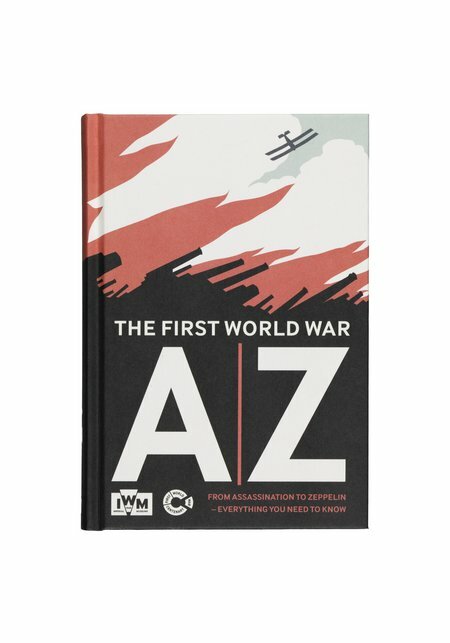 IWM (Imperial War Museums) tells the stories of people who have lived, fought and died in conflicts involving Britain and the Commonwealth since the First World War. IWM’s five branches attract over 2 million visitors each year. IWM London, our flagship branch, marks the Centenary of the First World War with new permanent First World War Galleries and a new Atrium with iconic large object displays. Our other branches are IWM North, housed in an iconic award-winning building designed by Daniel Libeskind; IWM Duxford, a world-renowned aviation museum and Britain’s best preserved wartime airfield; Churchill War Rooms, housed in Churchill’s secret headquarters below Whitehall; and the Second World War cruiser HMS Belfast.